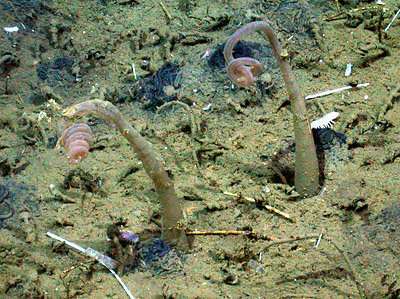 On February 6, 2002, MBARI marine biologist Robert Vrijenhoek went looking for deep-sea clams in Monterey Canyon. Little did he know that he would stumble upon something that would change the direction of his scientific career. It was a dead whale, sprawled out on the seafloor. The dead whale was interesting, but what really got Vrijenhoek's attention was what looked like red shag carpeting covering the whale bones. It turned out that the "shag carpeting" consisted of thousands of slimy, eyeless worms, lurking in the ocean depths and devouring the bones of dead animals. In celebrating their achievement, the researchers named the new Osedax species after people, ships, and even robots that contributed to the research. 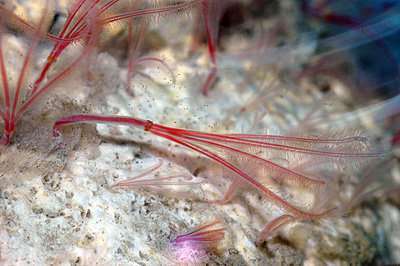 Some of the new species were named after MBARI researchers and ROV pilots. Other species were named after MBARI's three remotely operated vehicles, as well as the institution's flagship research vessel, the R/V Western Flyer. Fortunately for Osedax fans, Rouse and his MBARI collaborators have devoted over 15 years to this effort. But even they admit that they have probably just scratched the surface, concluding that "…it seems likely that many more species [of Osedax] remain to be discovered in the world's oceans." Osedax knutei – named for Knute Brekke, Chief ROV pilot for MBARI, who expertly collected many bones and Osedax over the years. Osedax lonnyi – named for Lonny Lundsten, Senior Research Technician at MBARI, for his enthusiasm and assistance on many Osedax expeditions. Osedax lehmani – named in memory of Alan George Lehman, father of Ellen Lehman, in recognition of her long and continued support of the Scripps Oceanographic Collections. 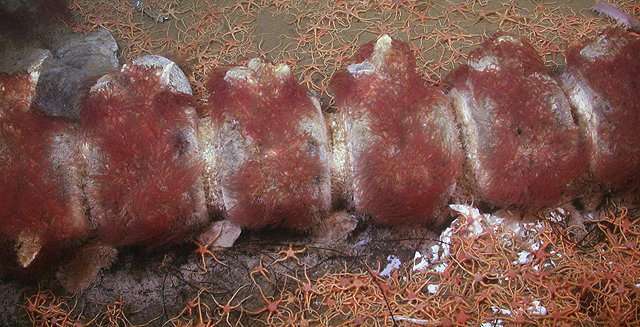 Osedax packardorum – named in honor of the Packard family whose foundation supports MBARI and enabled the discovery of all of the Osedax species in California. Osedax randyi – named in honor of Randy Prickett, Senior ROV pilot for MBARI, who collected many bones and Osedax over the years. 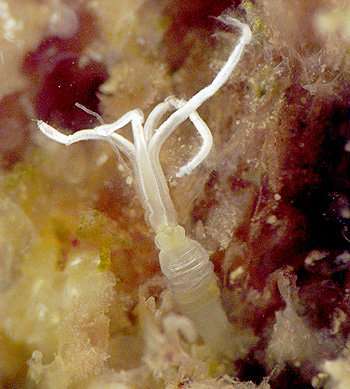 Osedax bryani– named in honor of Bryan Touryan-Schaefer, ROV Pilot/Technician for MBARI, who collected many bones with Osedax over the years.